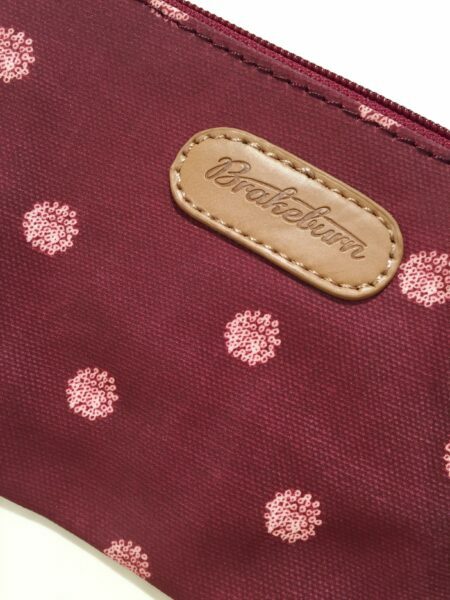 Flat women’s purse from Brakeburn, in a lovely burgundy colour. 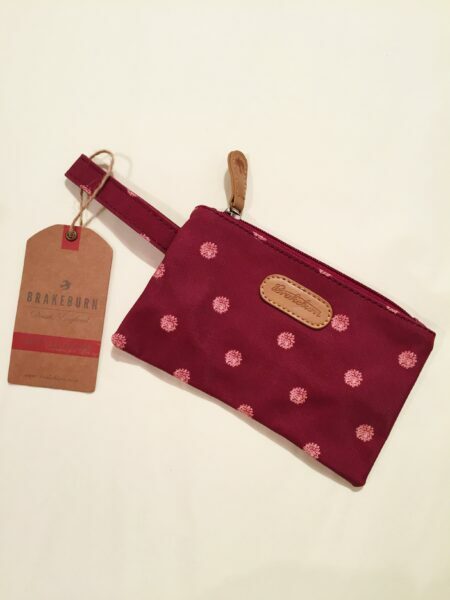 Features embroidered Brakeburn logo, zip closure, and a tag so it can be clipped on to a handbag. Measures approximately 18.5 x 11 cm., plus tag 9cm.